Bob Davis of Niantic has both survived cancer and thrived with cancer. In 2004, Bob and his wife, Karen, spent her birthday at the oncologist’s office, where he learned that he had Leukemia, more specifically, Chronic Lymphocytic Leukemia (CLL). As scary as it was, he learned that if diagnosed with leukemia, CLL is the “best” one to have. After six years of living with CLL, Bob had an endoscopy because of difficulty swallowing. Davis was told “not to worry, they would scope and dilate his esophagus and be better than new.” Upon waking up and asking how things looked, he received utter silence from his doctor. Bob’s wife was called and the two of them met with the doctor who explained that he had found a cancerous tumor. Bob learned what it is to undergo chemotherapy and have the skin burned off your esophagus from twenty-eight fractions of radiation therapy. Simultaneously, he also learned to advocate for cancer care and how to seek out the best treatment available. And he became a beacon of hope for others undergoing cancer treatment when founded the charity Sails Up 4 Cancer (SU4C) in the summer of 2010. Despite Bob’s pain and agony, he endured. Bob is now in remission and he gives his time and energy to others. Most recently, Bob assisted in establishing the Spinnaker fund. By definition, the spinnaker is a sail used when sailing with the wind behind your back. Sails Up 4 Cancer acts as that wind. The Spinnaker Fund is to encourage and support those battling cancer and undergoing expensive treatments. 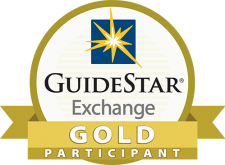 As expenses grow and income is lost, this fund alleviates the stress associated with financial hardships. Bob’s enthusiasm for life is palpable, and he recognizes that his successful battle with cancer is an everyday blessing for him and for all those who know him. He continues at the helm of the organization he founded and continues to give back to his community via running events; organizing fund raisers and giving generously to L+M Hospital and the Center for Hospice Care among others. 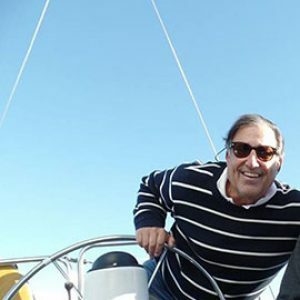 In addition to founding and presiding over Sails Up 4 Cancer, and establishing the Spinnaker Fund, Bob is also a four-time leading fundraiser for the Leukemia & Lymphoma Society of Connecticut Regattas.